« Fuzzle CMS 3.5 — we are going forward! Along with 3.5 version of Fuzzle CMS release we’ve desided to create our own site templates collection. We sincerely hope our users will appreciate this new feature. 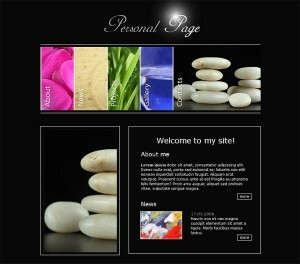 Site templates is a convenient and rather inexpensive way to create site design for the minimum of time. With a ready-made template you just have to fill your web site with appropriate content and images. Though, using site template doesn’t mean you couldn’t make some changes in site design (and even completely modify it). Out templates store contains 5 wonderful templates by now. 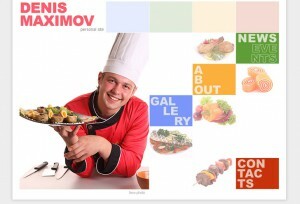 Among these 5 templates there are templates that will ideally suit for personal site, online business card for a photostudio, hotel web-page or day SPA site. For intance, 360 panoram template gives a possibility to put a detailed sphere panorama at the home page. 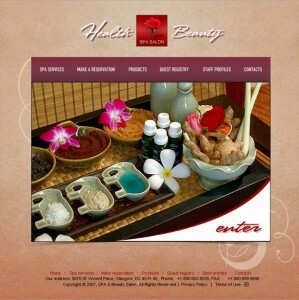 Template from SPA-salon category affords to create pleasant atmosphere for site visitors thanks to beautiful music and aesthetic transitions between the pages (made with so called splash screens appeared in 3.5 version). You can view templates in detail at http://fuzzletemplates.com page. This page will be constantly updated with new templates. To see a sample web site made using any of presented teplates, click “View in FULLSCREEN mode” button. Web designers are welcome to create new templates for Fuzzle having a certain percentage of the profit. We are also interested in mutually benefitial cooperation with web studios, that can have 20% of revenue. Thus, by selling a licensed copy of Fuzzle CMS with a template, the stidio can receive (475€+75€)*20% = 110€. If you have any question regarding cooperation with Fuzzle use our contact form please. We’ll be glad to hear from you. This entry was posted on Saturday, February 27th, 2010 at 8:50 pm	and is filed under Uncategorized. You can follow any responses to this entry through the RSS 2.0 feed. Both comments and pings are currently closed.